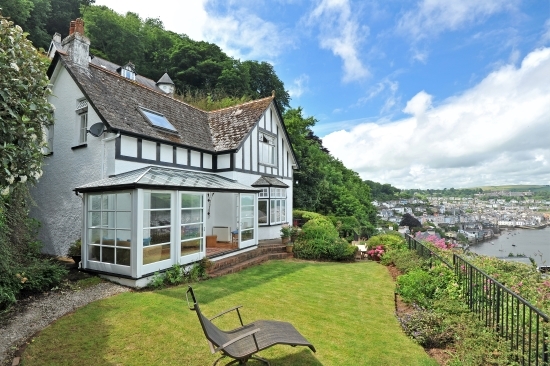 Melbrake is an imposing property, with spectacular views down across the River Dart. It has a wealth of original features, including beautiful ceilings and fireplaces in the main reception rooms. On the ground floor Melbrake has a well-appointed kitchen, a sitting room leading into a light and airy conservatory, making the most of those views. The dining room has a lovely bay window and enjoys the same outlook from the front of the property. There are 4 bedrooms at Melbrake, two of which are spacious doubles overlooking the river, they are complemented by a bathroom and additional shower room on the first floor. Melbrake enjoys beautifully kept gardens, the perfect location for watching the world go by. The garden also has a detached studio. There is planning permission in place to create a two car parking bay. Melbrake is offered for sale at £965,000. For further information please contact Marchand Petit’s Dartmouth office on 01803 839190, email dartmouth@marchandpetit.co.uk.